We all have our hobbies, though some are definitely more gloat-worthy than others. Personally, I do have some respectable things on my list like visiting other natural history collections and reading history books, but then I also have less conventional interests like attending Destination Star Trek, and building model WWII airplanes. Whatever makes you happy, I say! 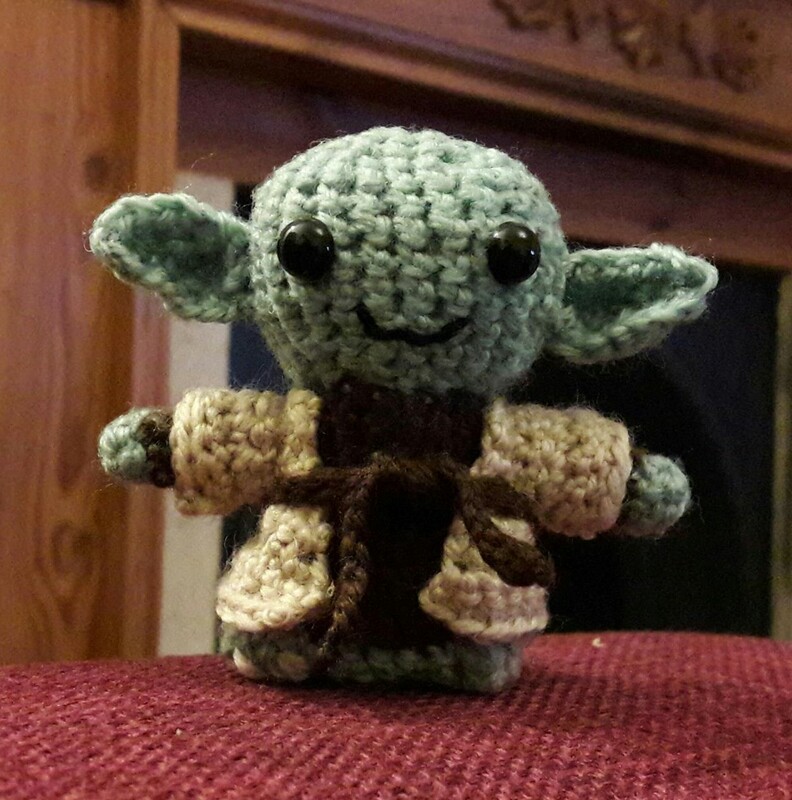 Last Christmas I got a new hobby- I was given a Star Wars crochet set and, having wiled away the cold winter nights using it to learn how to knot wool into shapes*, I used my new found ‘skills’ to make this awesome, if far from perfect, crochet Yoda for my sister’s birthday. I was pretty chuffed with myself to be frank**, but if you happen to know my sister, don’t look at Yoda’s cloak too closely next time you pop round to see her. My first crochet project; A little Yoda for my sister. © Emma Nicholls. It is through the eyes of someone with this specific level of skill (loose term in my case) that I introduce you with awe to the new installation in the Inspired by Nature temporary exhibition space at the Horniman Museum and Gardens. When I first saw the lioness peering out over the Natural History Gallery, I let out an audible and involuntary ‘wow’. The exhibition, by artist Shauna Richardson, is called EVOLUTION of The Artist and the Exhibited Works. The exhibition comprises seven 3-dimensional sculptures, and one ‘skin’; a baboon that hasn’t been stuffed in order to show, in part, the process of how her sculptures have been created. Shauna devised the term ‘Crochetdermy®’ as an obvious yet genius amalgamation of the words ‘crochet’ and ‘taxidermy’ to describe her sculptures, which it does really rather well I’d say. The skill required to produce these life-size pieces, speaking from the bottom rung of the crochet skill set ladder, is phenomenal (and I think people on much higher steps than I would have to agree). You can see the muscles in the lioness’s neck, the facial features are as realistic as you like, and the size and impact of the pieces on the visitors is obvious, whenever I walk past.